Two luxurious cocktails on special offer! Amor Y Amargo - A loving mix of rose petal infused Havana Gold Rum, white chocolate liqueur, fresh lime, sweet coconut water, pineapple star anise bitter and raspberry powder. 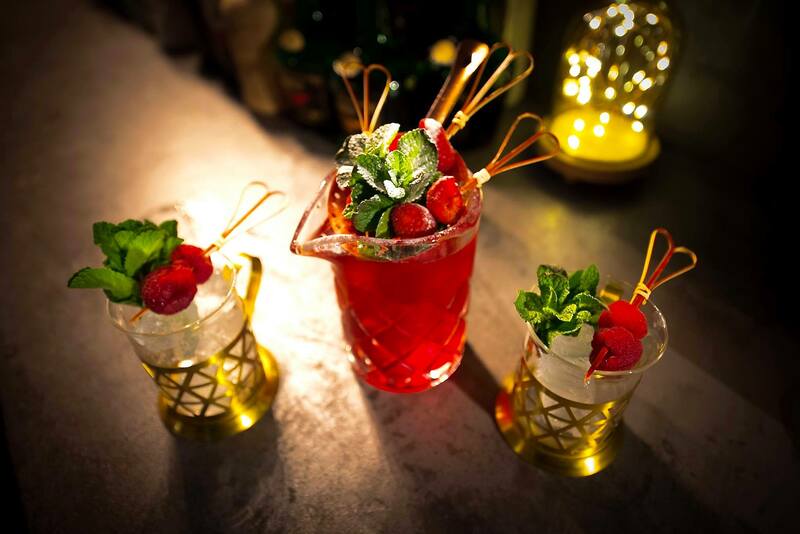 Voluptus Punch - A sharer designed to be enjoyed by two, stirring together cacao nib infused Bombay Original Dry Gin, Amer Picon citrus amaro, fresh lemon, sweet strawberry and caramel rooibos tea, balsamic reduction and Canti Brut Prosecco. Complimentary Bears & Tales Valentine liqueur as a welcome drink for all. PLUS reserve a table for the night and be in with a chance of winning a free bottle of Prosecco!